Late Inderchand Rajgarhia was one of the pioneers of mica business in India, right from the late 1880’s. He established the present Company, Inderchand Rajgarhia & Sons Pvt. Ltd. and registered it under the Indian Companies Act in the year 1933. The Company is today one of the oldest and biggest manufacturer and exporter of Mica and Mica based electronic components from India to the world markets. F I N A N C E : Over Rs. 75 million is employed in the Company in its mica business. 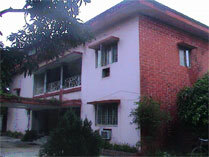 The Company and the family also own landed properties in India. i) Factory for Processed Mica, i.e. natural mica of all sizes and qualities. ii) Factory for Mica Scrap, Powder and Flakes. iii) Factory for Micanite and Mica Tapes, Mica Tubes, Mica folium. iv)	Factory for Fabricated Mica including Transistor parts, liquid level indicators, corrugated mica, etc. The Company has over 500 different types of dies and maintains fully equipped tool room. v)	Factory for production of silvered mica plates and mica capacitors. vi)	We are happy to advise you that we have been granted ISO 9001:2000 Certification for our plant at Koderma. We are holding Certificate No. FM 87884 which comply with the requirements BS EN ISO 9001:2000. 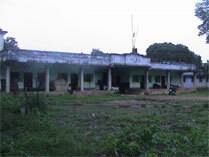 Mica procurement and processing centre. Alternative export point for sea shipments. The Company has representatives in Hong Kong for Asian market and in Hamburg for European market. The assistance of our representatives can be used whenever required for better co-ordination between us and our esteemed buyers. Export Performance:The Company exports processed mica, cut mica parts, silvered mica plates for capacitors, mica powder , mica flakes and mica scrap all over the world, to the extent of over Rs. 80 million yearly. The Company has been awarded by Engineering Export Promotion Council, sponsored by the Ministry of Commerce, Government of India, Certificates of Merit, All-India Special Shield, Top Exporters Shield etc. for its outstanding export performance from time to time. In highly competitive and demanding markets, the house of ICR has emerged as an acknowledged leader in the field of mica and mica based electronic components. The products of ICR have been well-received by all consumers/importers of the world -- USA, all over Europe including East European Countries, Far East, Japan, Australia and other countries. Today, all over the globe, ICR stands for the highest in quality, reliability and for deliveries on schedule. The Company employs over 500 workers at its different factories and the management maintains cordial relationship with its employees.